I just drank a bottle of Minute Maid Pulpy. They say it’s got ‘no preservatives added’. Aw, c’mon…It’s bottled juice. Is that even possible? So I thought maybe... it really is from a freshly squeezed juice then processed into the bottle or something like that, I guess.. So far anyone who still has a hard time believing that Minute Maid has got no preservatives added - meaning it's THAT natural, it's almost like it's plucked straight from the tree, it's just as Mother Nature wanted your orange juice to be, it's got nothing but the good stuff yes, none of those potentially toxic stuff that can harm your brain, kidneys, heart; cause tumors aargh- the list of preservatives' bad effects just go on!!! Anyway, just to prove a point on just how good Minute Maid Pulpy is 'cause it's got NO PRESERVATIVES ADDED, I'm gonna definitely keep on drinking the Minute Maid Pulpy Orange juice as many times as I can, for good health, and continue a healthy lifestyle! 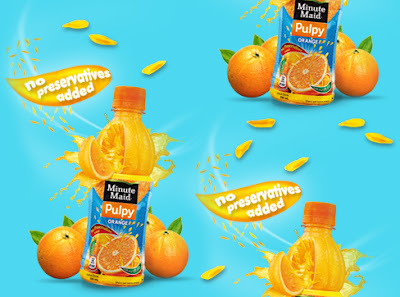 Hi, it is really good to know that Minute Maid Pulpy is No Preservatives Added. Natural Orange Juice is a good cleanser and lots of health benefit but orange juice should be consumed fairly. 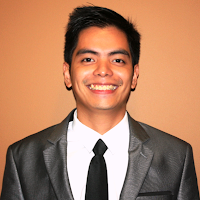 We know the saying be moderate in everything we do, drink eat… Goodluck to your entry!